Mozilla Firefox browser has a nice feature of adding a master password to protect all your saved password. If you have added a master password, Firefox will ask for password once Firefox needs to access your stored passwords. But what will you do if you forget your master password? You will have to reset it. Although, there is a way to reset password, but all your saved usernames and passwords will lost. 1. Open Firefox browser and type this in URL bar. 2. Now press enter and “Reset Master Password” page will appear. 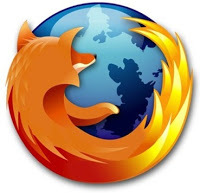 In this page, click on the reset button to reset the master password of Firefox. 3. Then a pop up box will be there which asks for your confirmation. Click on OK.
Next time, when you will start Firefox, it will not ask for the master password. Now you can set a new one.